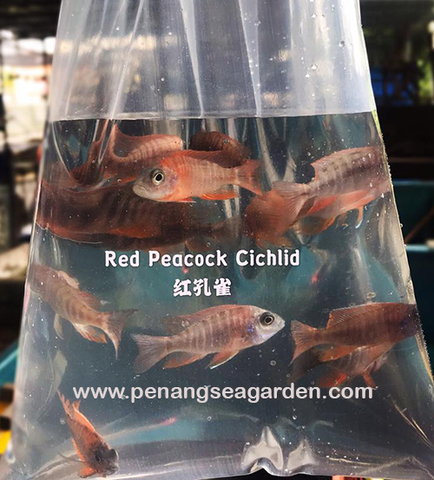 Home › Red Peacock Cichlid 红孔雀 2"
Red Peacock Cichlid 红孔雀 2"
Peacock Cichlids are some of the most colorful fish in the world. They are native to Lake Malawi and are one of the most friendly and peaceful members of the Cichlids. 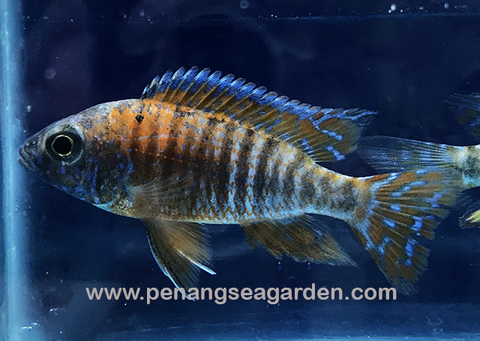 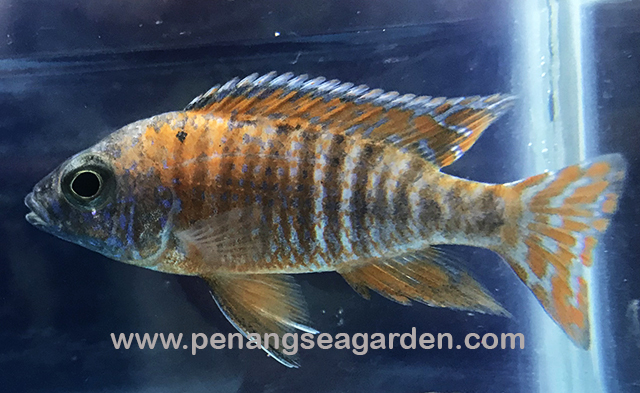 The different varieties of the Peacock Cichlid are essentially the same fish with different coloring; this color varies depending on the region of Lake Malawi it came from. 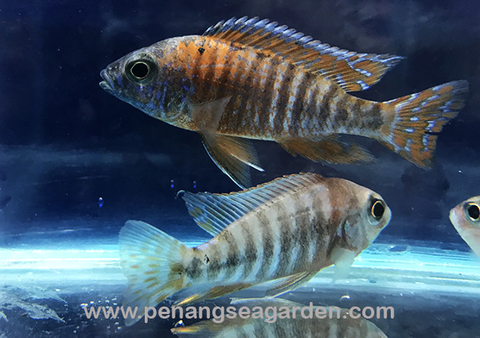 It’s important to state here though that both the juvenile and females are typically a drab gray.